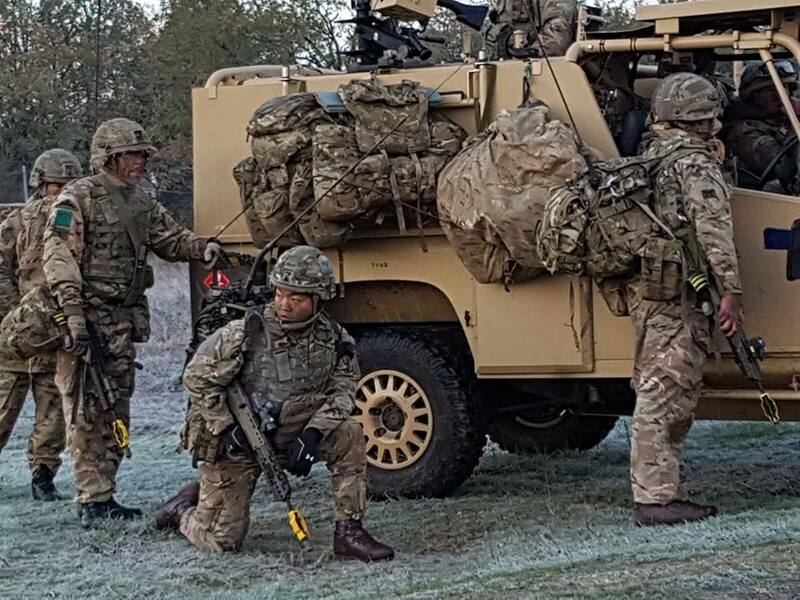 A (Delhi) Company, 1 Royal Gurkha Rifles recently deployed on Exercise FALCON AMARANTE, South France. This was part of the 3rd Battalion The Parachute Regiment’s Battlegroup to conduct a joint training as part of Airborne Combined Joint Expeditionary Force (ACJEF) commanded by French 2* General. 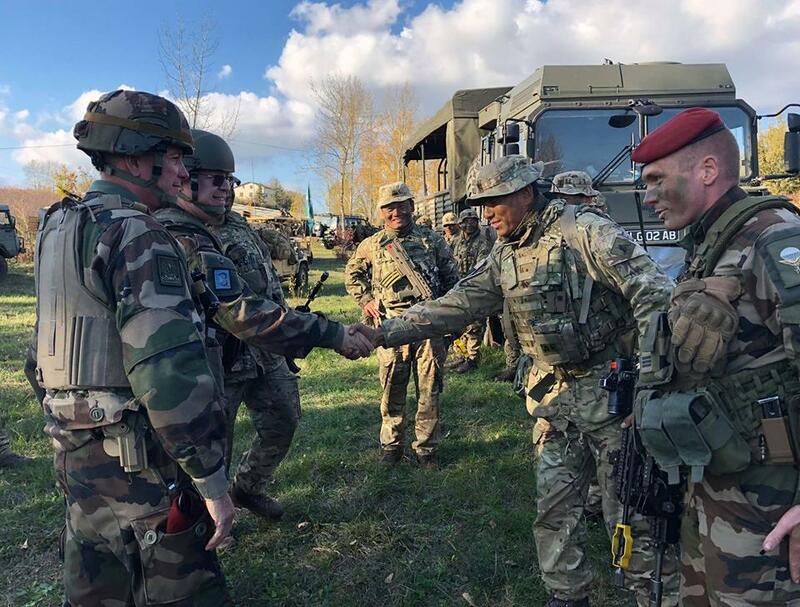 Across two demanding weeks in south west France, the Exercise tested the Airborne Combined Joint Expeditionary Force (A-CJEF) – a partnership between 16 Air Assault Brigade and 11e Brigade Parachutiste. The two brigades provide the airborne rapid reaction forces for their respective armies, and the A-CJEF has been trained and ready since 2013 to deploy on short-notice operations ranging from war fighting to disaster relief. British troops paired with the 3e Regiment de Parachutistes d’Infanterie de Marine as the A-CJEF, with US paratroopers from the 173rd Airborne Brigade working alongside it. After mission planning and reconnaissance, the exercises started on 14th November with some 600 British, French and US paratroopers jumping onto the Caylus training area near Toulouse. From there, a series of simulated missions tested the skills and capabilities of the 2,000-strong force. The first few days of final exercise comprised of conducting offensive, defensive and Rapid Air Landing operations which included a number of challenges including response to CBRN threat. The exercise was concluded with A company conducting an airborne operation into occupied villages of Saizet in south France. 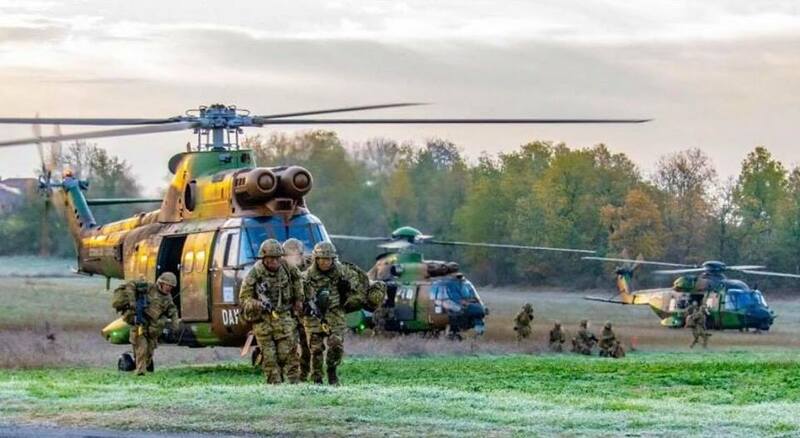 The exercise which unfolded various offensive actions, saw A Company conducting a joint training (including introductions to French weapons, vehicles and parachutes) before being deployed on a testing final exercise.